Population: Undoubtly the UK population is rising strongly. In fact, the population has i ncreased by 550,000 in just the last 3 years. However the population growth is not evenly spread. The fastest growing parts of the UK population are in London, and to a lesser extent SE England and Eastern England (e.g. Cambridge). The population explosion has a large bearing in GDP growth and business investment. The more people the fast growing is an area generally. For property investors, its not a bad rule of thumb to target areas with the fastest growing population, since these will generally be the areas of maximum business and GDP growth – and because building often lags well behind population growth, particularly in the UK with its archaic planning regulations, then rental demand, yields and house prices will all rise sharper in such areas. Conversely, in areas of depopulation like NW Scotland, parts of Liverpool and mid-west Wales, property prices will be subdued and rental demand depressed. To focus property investment close to new expanding business in cities and large towns is a good strategy. In London, buy a one or two bedroom flat close to The City, Canary Wharf, Chiswick Park, Nine Elms, Shoreditch, Earls Court, Farringdon, Kings Cross or London Bridge is a way to capture good rental demand and rising property prices. 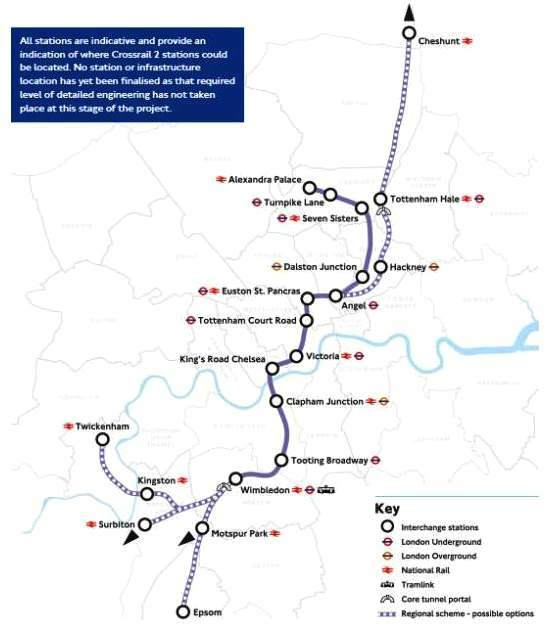 Major New Infra-structure Developments: The aren’t many to research in the UK – but the biggest is Crossrail that will dramatically improve commuting times from places like Acton, Ealing, Abbey Wood, Shenfield, Ilford, Forest Gate and Maidenhead to the City (Tottenham Court Road) and West End (Bond Street-Paddington). Any Victorian flat within a 5 minute walk of Action Mainland Station or Ealing Broadway is probably a really good investment for when the station finally opens in 2017. Crossrail 2: For investors thinking further into the future, its worth researching Crossrail 2 – which we give a 50% chance of being built by 2030. Another project is the Bakerloo Line Extension – down Old Kent Road, New Cross to Lewisham (likely with a loop line to Peckham). The area equidistance between Elephant & Castle and New Cross – along the depressing Old Kent Road could be transformed with this improvement in communications. We would give a 40% chance this will be built by 2028. Crossrail-Thameslink: For investors that want certainty, then any nice flat for a good price close to Farringdon Station has got to be a winner. Once Crossrail opens, business people will be able to travel west-east very rapidly on Crossrail and north-south very rapidly on Thameslink. It will be the central destination to meet, and just west of the City and east of West End (theatres, restaurants etc). It will become a very attractive place for wealthy foreigners to settle – all those people that love cities. All the amenities on your doorstep. City Living: One trend that is becoming more obvious is that all the foreign super-rich people love living in the city – right in the centre. As central as possible. This is to take full easy advantage of all the amenities and attractions. It really is a “playground for the rich” – this expression pretty much captures the essence of why Mayfair and Kensington prices have skyrocketed. British born citizens tend to like to move out of the city into large houses and mansions. But if you are French, Russian, Chinese or American, you are far more likely to want a terrace house in Belgravia than a mansion in Esher or Totteridge. This is one reason that West End price have risen on a steeper trajectory compared to outer London – even places like Virginia Water/Esher. As globalization continues and more super-rich people arrive from the Far East, Middle East and other countries, we expect this overall trend to continue as long as Labour to do win then put punitive taxes in place that drive the super-rich away. Of course this is entirely possible, particularly if they do a deal with the SNP and introduce a Mansion Tax on top of the already punitive Stamp Duty increase introduced a few months ago. Hierarchy: As the global population increases, there will be no shortage of people willing to work for low wages in London and many parts of the UK. 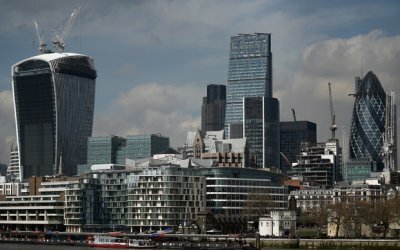 The bottom line is that people from Romania, Poland and other countries with far lower wages and far worse employment prospects arrive in London and find if they work hard doing service related jobs, that get reasonably well paid by their standards – enough to send money back home despite high rents. This puts a lid on inflation in the UK and helps keep interest rates low, mortgage rates low and thence boost house prices further because affordability improves for most people who can afford a deposit. Then the rental demand is boosted and the buy-to-let investor keep their properties full and make a reasonable return investment. The very same tenants are also maintaining the properties – building and upgrading. We maintain that without the inward migration London would be a very different type of city with many depressed areas with economic stress. Of course there are still such deprived areas in pockets, but for all those people that truly “want” a job, they can get a job. People work hard, competition is quite fierce and many people have multiple jobs – but self employed builders and maintenance workers or example have an opportunity to expanding and make large businesses with effort, fortitude and skill. In the middle of the professionals and at the top of this hierarchy are the super-rich – elite and old aristocracy. The more inward migrants that arrive – the better the services and the bigger the business opportunity for all – and this of course include property investors. The obvious opportunity is buy-to-let properties - and building services helped by inward migrants - who are also normally tenants - making sure maintenance, building and upgrade-repairs costs don’t escalate due to shortage of skilled labour. For UK based property investors - I hope one can see the benefits of migrants that expand the economy, help keep maintenance costs low, mortgage costs low and rental demand high, whilst contributing strongly to the overall business expansion. The negative of course is the additional pressure on public services, but here again, migrants will keep labour costs lower than they normally would be and also provide the services in many areas - e.g. nurses, cleaners, administration support along with doctors etc. Every time there is a country that sees its currency getting too strong, they are tempted to print currency to crop it and maintain competitiveness. Each country seems to take it in turns. A few weeks ago it was Sweden, now it the Eurozone. About 2 years ago it was the USA then Japan and China joins in regularly. Its probably coordinated behind the scenes. The UK participates when it needs to. Just don't expect currency printing to stop because debt levels are rising - so because of this we see property prices continuing to rise along with overall inflation in the UK and USA. Any major global economic city or centre with rising GDP should see property prices rising in general in accordance with debt levels and the expanding balance sheets - unless taxes, government mismanagement or detrimental housing policies get in the way. 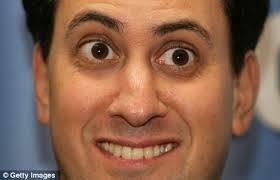 Multi-Party State: The UK is now a multi-party state. We don't see any outright majo rity is possible any more - there are too many parties. The key trigger for this has been nationalism in Scotland - and there willingness to vote for a party the SNP that strongly represents socialist nationalist interests for Scotland. We expect the economy in Scotland to deteriorate as inward investment dries up because of the threat of devolution. This is eventually happen we thing, but the oil revenues have almost disappeared as the oil production and oil prices have crashed, so the Scottish finances would be highly reliant on funding from England - an economy 17 times larger. We would avoid property investment north of the border since there are too many risks and not enough clarity on what will happen in the next 5-20 years. Also Aberdeen will slip into recession now the oil prices have crashed.